The aim of this project was to add additional lanes and incorporate a number of existing structures which require widening, all in a highly sensitive environment within a National Marine Reserve. 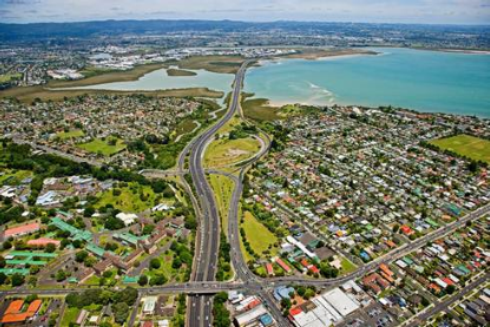 For the specimen design option, a 1.2km length of the 4.6km Motorway is periodically inundated by seawater, and a key element of the work is to define a level to raise the Causeway, in view of predicted long term sea level rise. The “aerial” photograph shows an overview of the existing 4.6km section for which the specimen design option was developed. There were geotechnical issues associated with widening and raising the Causeway on deep, soft alluvial soils. Buildability was also a significant issue as this extremely busy motorway had to be raised while remaining operational. This is the first road project to be approved by the Board of Inquiry process, and Aurecon’s role was to provide all highway design elements on the project, integrate with the other disciplines including the geotechnical and structural teams and assist in drafting this and in management of the drawings. The specimen design was developed to provide a base design to the client for the minimum requirements to be used when the project is issued for tendering purposes of the detailed design. Due to the sensitive existing pavement of soft alluvial soils, the pavement design levels modelled were raised and dropped a few times by 0.5m and up to 1m to get the best solution for both geometric and geotechnical engineering decisions being made. The position of the alignment was also shifted horizontally a few times to reduce the cost of the overall design scheme and reduce impacts on the existing buildings roads and environment. The challenges that arose due to this request was that modelling time was duplicated on any major shift in the alignment vertically and horizontally which was necessary to determine the best solution. All of the highway design was modelled in 12d Model to determine the best solution. Decisional modifiers were used to automatically generate batter slopes to a required design level below the existing surface, which eliminated manually adding fixed modifiers at 10m intervals for the 1.2km motorway. This reduced the amount of modelling required from a number of days to a few hours. Decisional modifiers were used to generate the median barriers automatically due to the difference in design levels between the Eastbound and Westbound carriageways. 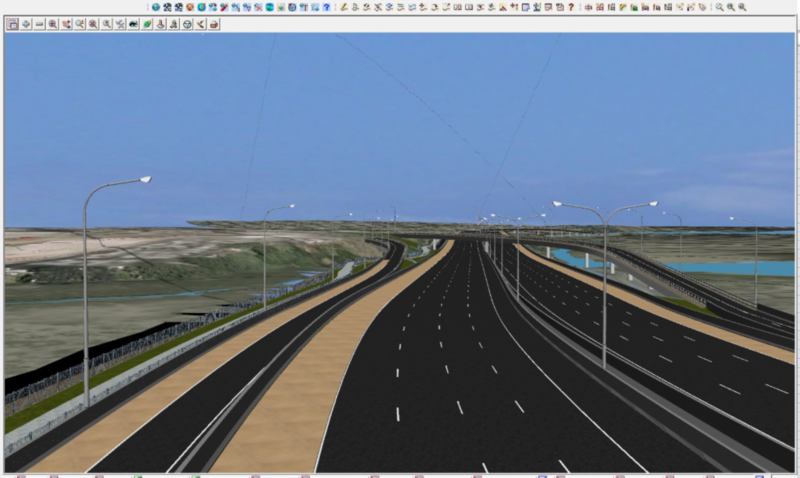 “Computator super alignments” were used in certain areas of the model due to the cycleway and local roads being located parallel to the highway so that when the highway was shifted horizontally or vertically the cycleway and local road design would automatically adjust with minor manual changes which also saved a number of days of modelling time. Chain files were used to incorporate generating a number of functions over and over again, which again saved hours or even a few days. A specific chain file was used to automatically generate cross sections at chainages requested showing a symbol of a contour of the design at a specific design level. This assisted in illustrating the effect the sea level rise could have on the design pavement and surface levels, meaning a more accurate estimate of this could be made.